Do you have redness, dark circles, or other skin discoloration? You may need more than just foundation and concealer. A lot of things can affect the color of our skin—aging, sun exposure, not getting enough sleep, water, or nutrients. And unfortunately, most of us will fall victim to one of those circumstances at some point in our lives. So what should you do when your foundation and concealer routine isn't enough to cover up the evidence of late nights and stress breakouts? Color correction! 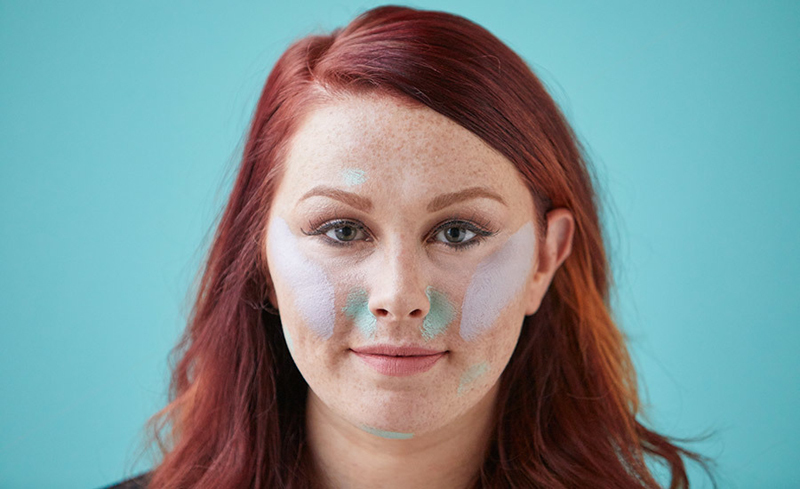 Color correcting makeup uses some pretty basic art class lessons to help neutralize any unslightly skin tone issues on your skin by covering them with the whatever color is opposite that shade on the color wheel—green covers redness, peach covers purple, purple covers yellow tones. It may take a little practice at first, but covering color problem spots is actually fairly easy. 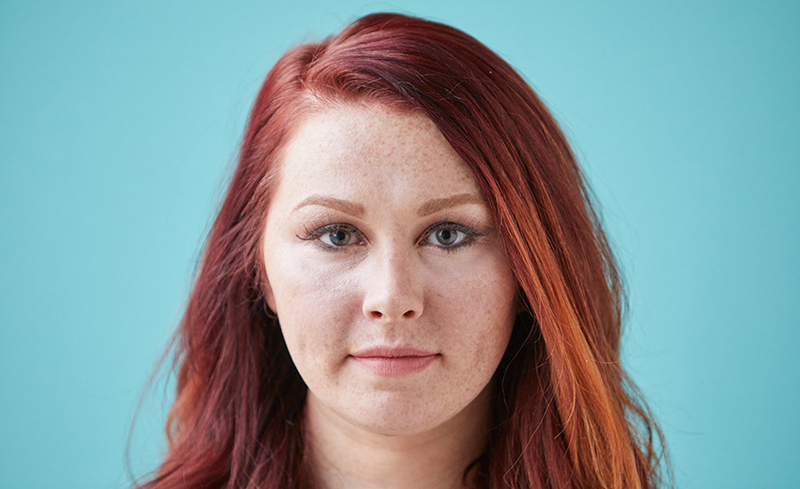 For this tutorial, makeup artist Kati Douglas used NYX Cosmetics Color Correcting Concealer Palette, $11.99. 1. Apply pink to the undereye area to cover the deep purple shade associated with dark circles. Pink and peach shades are also great for counteracting the darkness around the eyes that some people with deep olive skintones experience. 2. Use green to cover any red blemishes and redness around the nose. 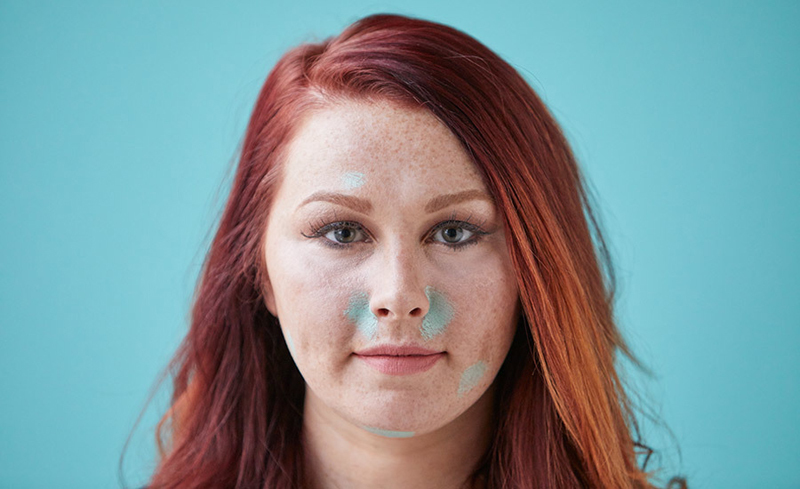 Green concealer can also help minimize the appearance of acne scars, rosacea, and sunburns. 3. Apply purple color corrector around the eye area or any other part of your skin that has unwanted yellow tones or feels dull. Purple balances yellow to give your skin a glowing, vibrant look. 4. Apply your regular makeup on top of the color correcting makeup for a flawless finish. And you're set! Experiment with placement, amount, and application to get the most out of color correcting makeup.